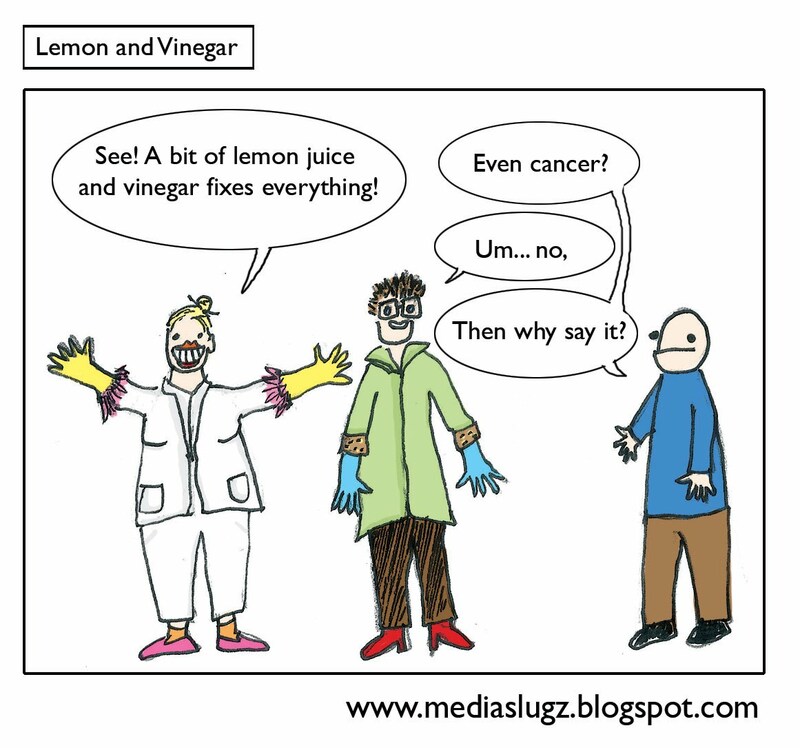 Here's a terrible drawing I did about lemon and vinegar. It seems that whatever state someone's house is in they always appear with lemon juice and vinegar and rub it all over and it comes up all shiny and new. And smelling of vinegar. And Lemon. This would be the main reason i use kitchen spray and stuff like that. On a lighter note, I saw the big lady on 'Come Dine With Me' and by the looks of things she pretty much has an alcohol problem. 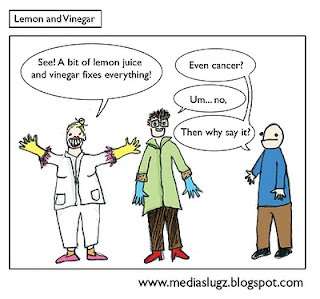 Fix that with your lemon and your vinegar.